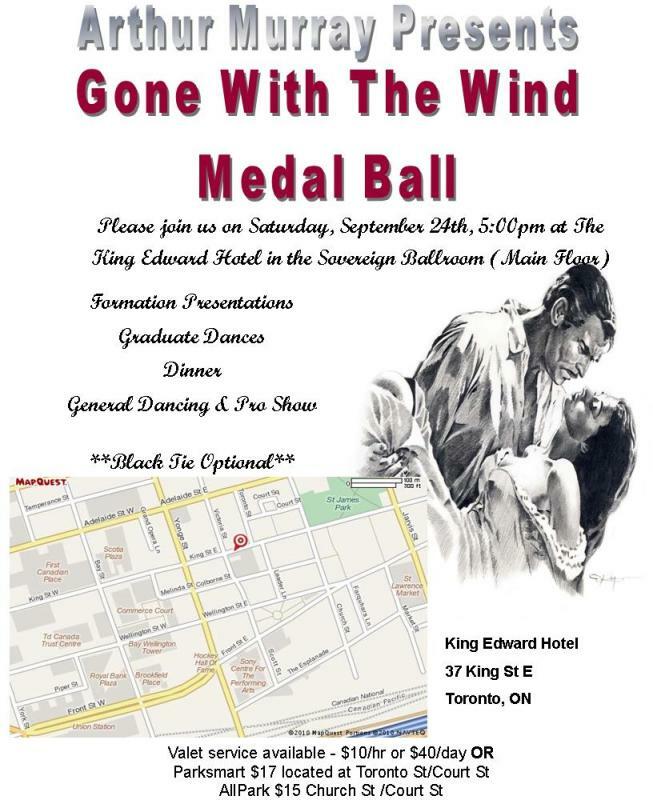 So as you can see we’re having our “Gone With the Wind” Medal Ball this Saturday at the King Edward Hotel. There are only a couple tickets left, so call the studio or email ASAP if you’re interested! Getting back to… well, September! So, it’s been a wonderful, warm sunny summer, and although it will not technically be over till mid-September, things are in fact, cooling and the sunshine is waning. To honour all this, I thought I’d tell you all about what we’ve been up to! So everyone’s up to date, we have relocated our website to www.arthurmurrayetobicoke.com so if you have bookmarked the calendar, make sure you update to the new spot! Now, what we’ve been up to – first, a recap of summer! We had a LOT of fun this summer! First, we had our Spotlight Night in June, which was amazing! Check out these pictures of the night. Also, a friendly reminder our next Spotlight Night will be October 14th! Finally, in August, some of our students took part in the Chicago Dance-O-Rama and went off to show how good we are up here!! We are very proud of our participating students & we couldn’t have done it without the support of our spectators! We are really excited for those heading to Las Vegas (spectators & participants!) in the fall! Show ’em what we’re made of up here in Canada! Now, that things are settling down again for fall – as you can see we have LOTS coming up! Most notably, our Gone With The Wind Medal Ball on September 24th! There are only a few seats left for this one, so it’s going to be a sold out evening for sure. Also, we are having our Christmas Star Ball at the Fairmont Royal York this year, on November 26th! It’s going to be an AMAZING day, with student events all day, and a Professional Competition in the evening! Not to mention, lots of celebrating the holidays with your friends from Arthur Murray’s locations all over Toronto! Looking forward to an amazing fall with everyone!